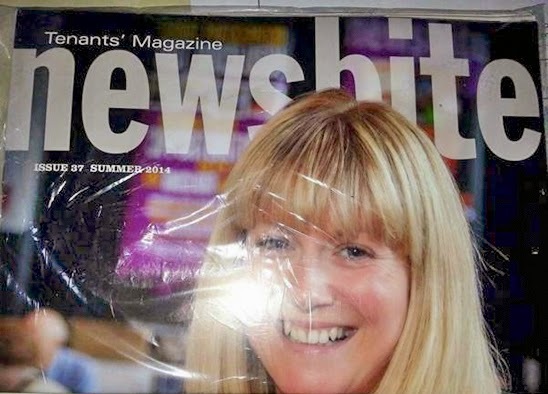 Aberdeen Council was happy with the latest edition of its newsbite magazine which it had delivered to its 23,000 tenants. Happy, that is, until some bright spark suggested that the partly obscured b in the title on the front page might, in fact, be an h.
Then it turned to, well, see for yourself. Sounds like a Daily Mail publication to me.